The IMPAACT4TB project will be implemented by a consortium whose members have exceptional experience in shaping markets, strengthening supply chain management and supporting National TB Programmes in high burden countries. The consortium will implement innovative strategies to deliver 3HP to high risk groups in the 12 project countries, and the lessons learned along the way will be used to support scale up globally and contribute to meeting the global End TB targets. Is the lead organisation for the IMPAACT4TB consortium and is the implementing member in South Africa, Ghana and Mozambique. Aurum, an African-based non-governmental organisation, will draw on its unique strengths in TB/HIV programme implementation to lead the negotiations with Sanofi on the ceiling price for Rifapentine, implement the Safety and Pharmacokinetic (PK) study, coordinate the procurement of 3HP and support civil society’s active participation. Aurum also houses the Project Management Unit based in South Africa. Will be responsible for implementation in Malawi, Tanzania, Ethiopia and Indonesia. KNCV will build on their experience in TB programme implementation to enhance adoption, demand and delivery of 3HP, along with generating evidence to support scale-up and policy change. Will be responsible for implementation in Cambodia, India, Kenya and Zimbabwe. 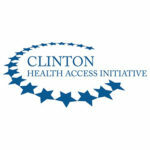 CHAI has strong expertise in dramatically scaling up access to antiretroviral treatment and will lead efforts to bring a generic Rifapentine to market by identifying potential manufacturers, conducting a chemical process analysis and managing an incentive grant to generic manufacturers of Rifapentine. Will be responsible for supporting the scale up of 3HP in Brazil and conducting the demonstration project in the Pune site in India. 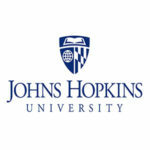 JHU has strong experience in conducting implementation research and impact and economic modelling, and will supervise the safety and PK study, impact and economic modelling, and the implementation research studies at country level. Will be responsible for facilitating the procurement and delivery of Unitaid funded Rifapentine-based short course treatment to the project countries. Is responsible for leading advocacy to support IMPAACT4TB at a global level and connecting to regional and national CSOs. 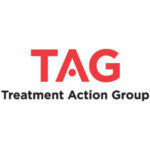 TAG will be responsible for developing educational materials for CSOs and conducting market access advocacy work. Unitaid is an international organisation that invests in innovations to prevent, diagnose and treat HIV/AIDS, tuberculosis and malaria more quickly, affordably and effectively. They also work to improve access to diagnostics and treatment for HIV co-infections such as hepatitis C and human papillomavirus (HPV). Unitaid is a hosted partnership of the World Health Organization (WHO).